Sulzer Electro Mechanical Services (UK) Limited. 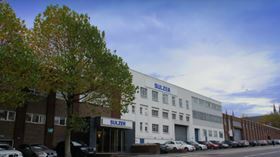 Sulzer says that the name change will bring the UK company structure in line with its global initiative to leverage synergies across the Rotating Equipment Services division. Sulzer Electro Mechanical Services (UK) Limited provides essential services for the repair and maintenance of rotating equipment, as well as specialized services for pumps and turbomachinery. The UK network has 16 electromechanical service centres that form a significant part of the electrical repair capability within the Sulzer group.